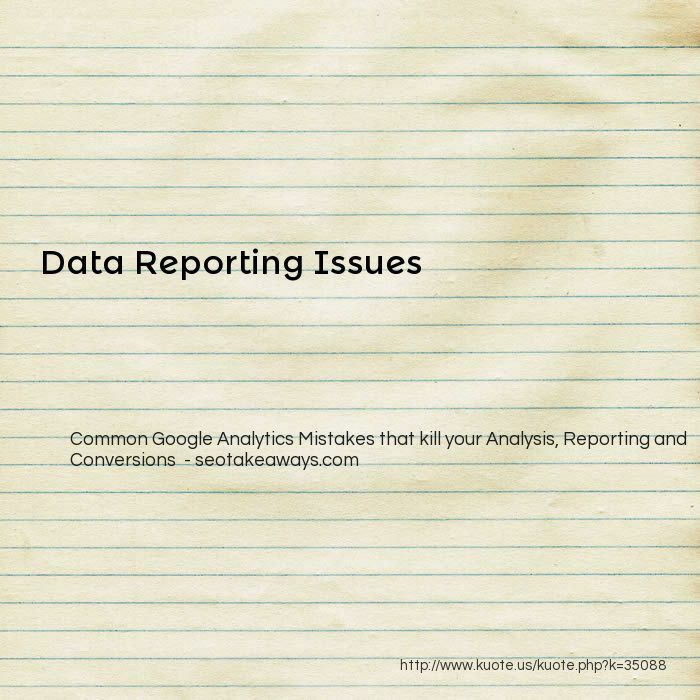 most common data reporting issues: Reporting data without solid recommendations. 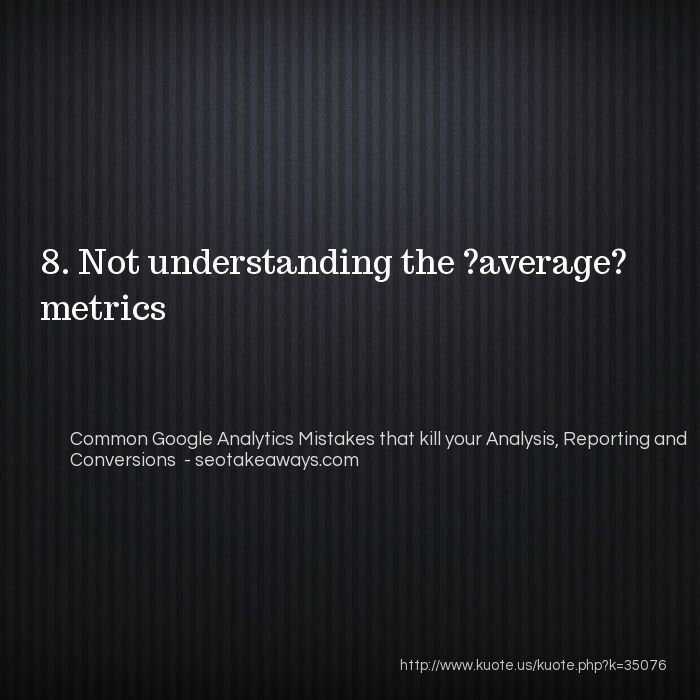 Reporting a metric all by itself. 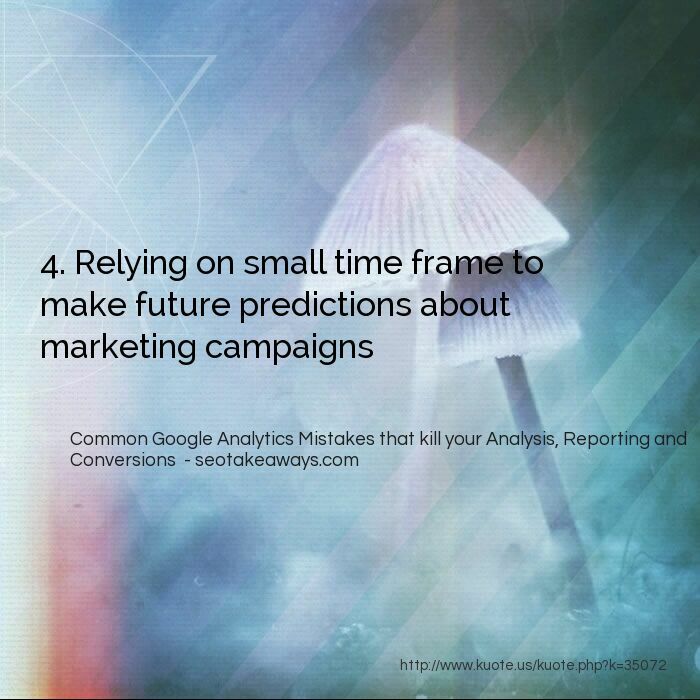 Reporting a data trend which is of less than 3 months Not segmenting the data before presenting it as a trend. Not adding annotations to your graphs to describe the various peaks and valleys in the data trend. Not using the right graph/chart to present the data. 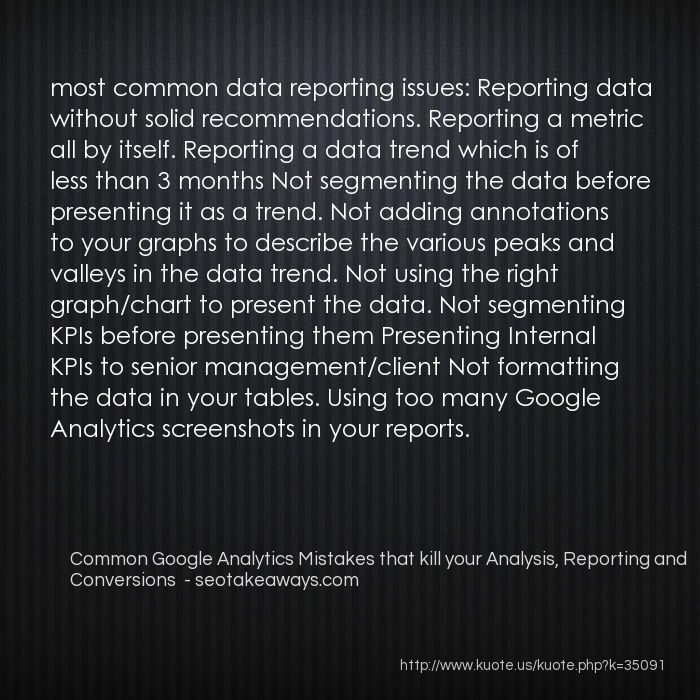 Not segmenting KPIs before presenting them Presenting Internal KPIs to senior management/client Not formatting the data in your tables. 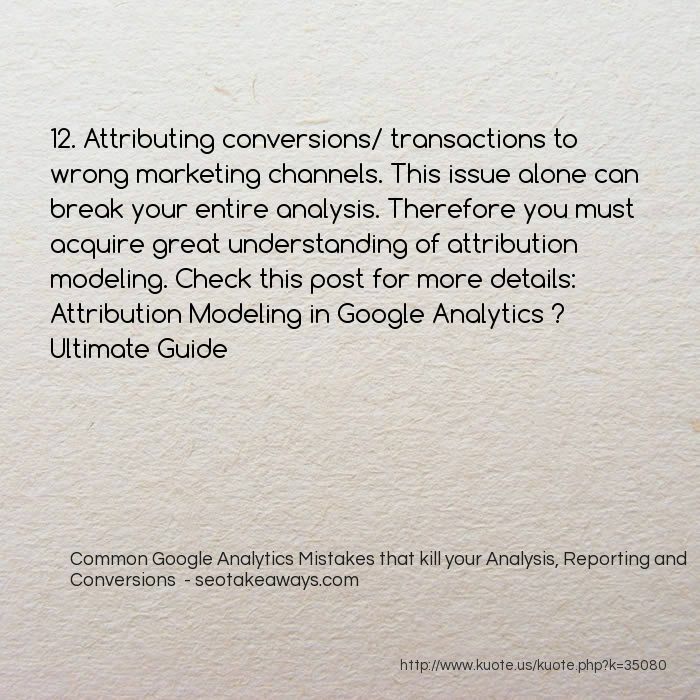 Using too many Google Analytics screenshots in your reports. 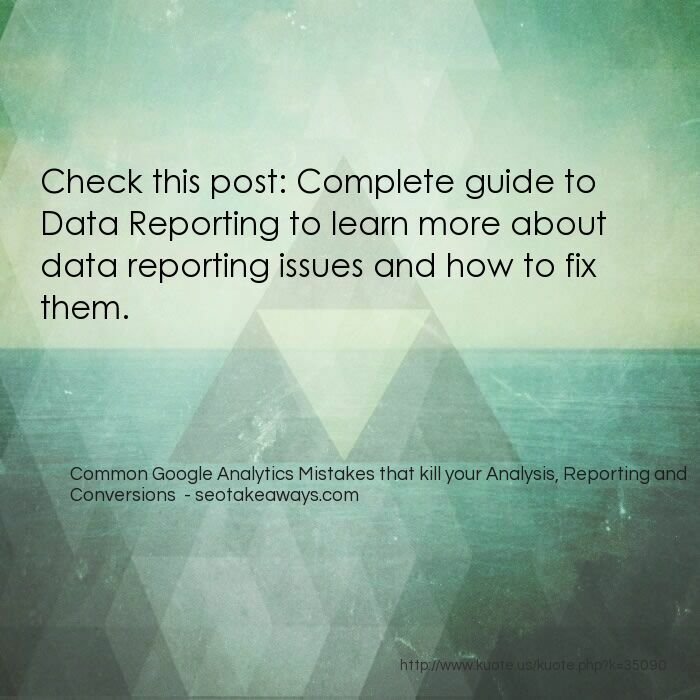 Check this post: Complete guide to Data Reporting to learn more about data reporting issues and how to fix them. 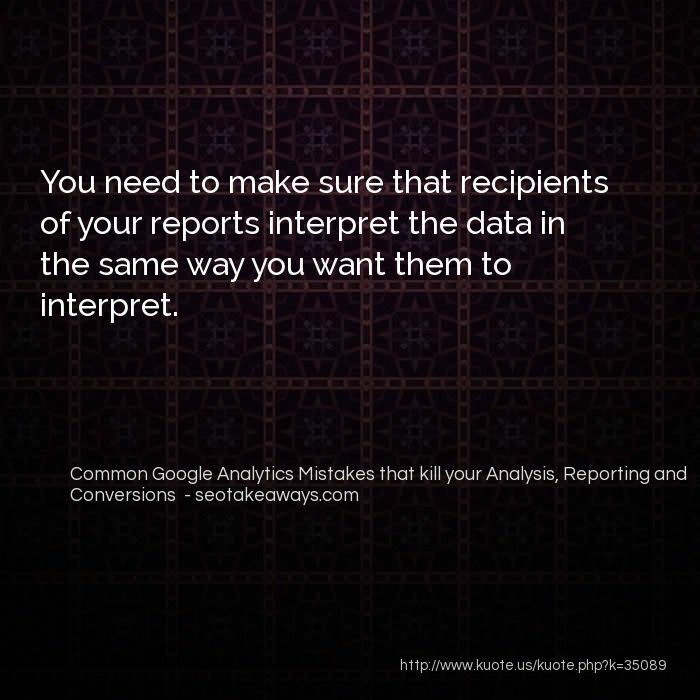 You need to make sure that recipients of your reports interpret the data in the same way you want them to interpret. 18. 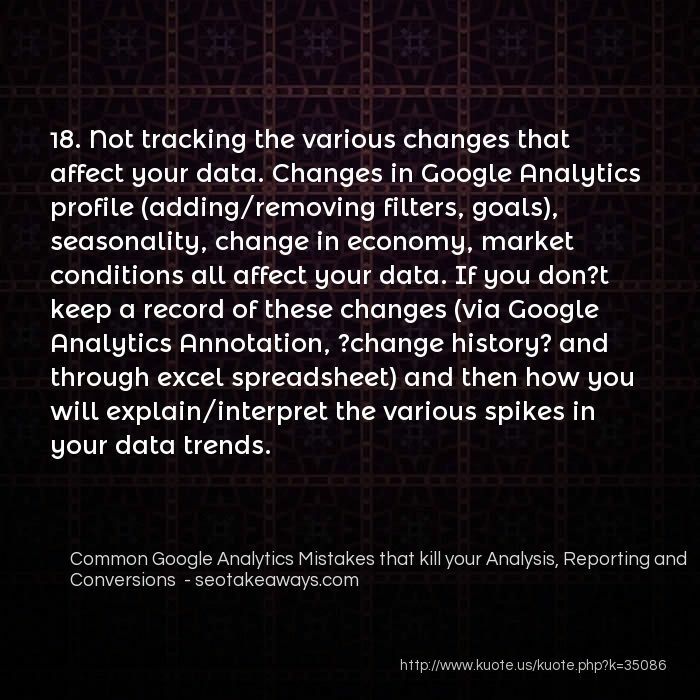 Not tracking the various changes that affect your data. Changes in Google Analytics profile (adding/removing filters, goals), seasonality, change in economy, market conditions all affect your data. 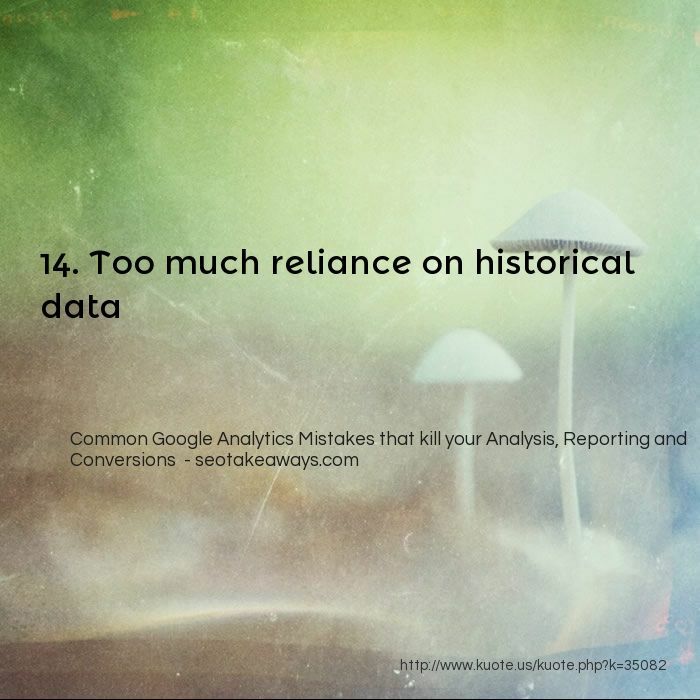 If you don?t keep a record of these changes (via Google Analytics Annotation, ?change history? and through excel spreadsheet) and then how you will explain/interpret the various spikes in your data trends. 17. Not understanding how and from where the data is collected. 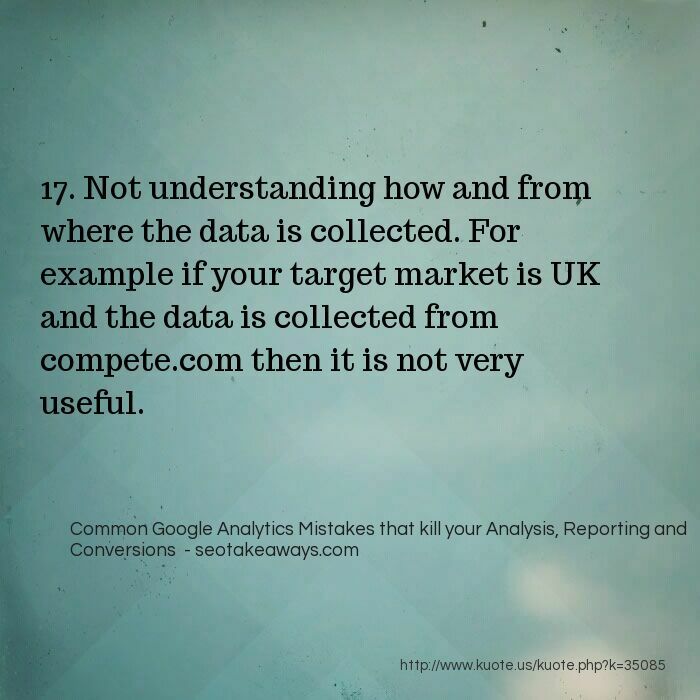 For example if your target market is UK and the data is collected from compete.com then it is not very useful. 16. 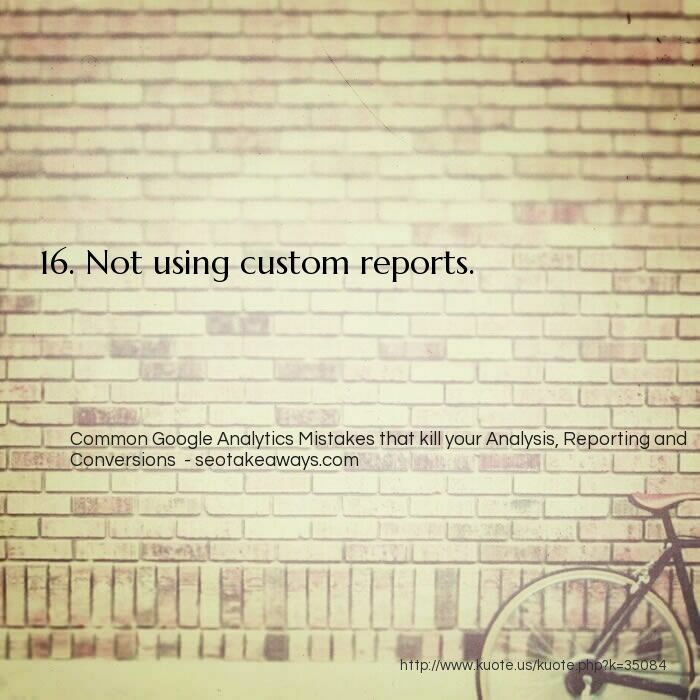 Not using custom reports. 15. Not understanding ?why? 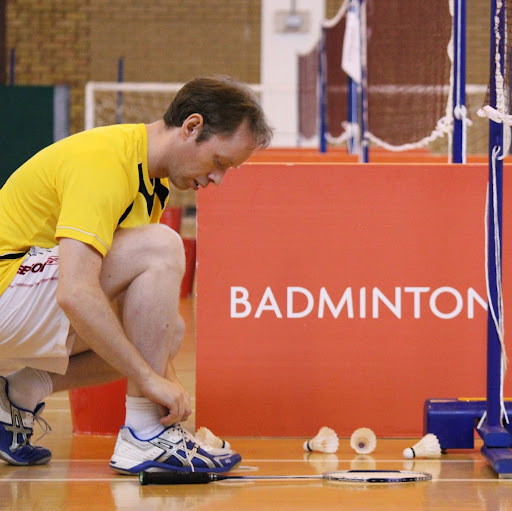 people do what they do on your website. 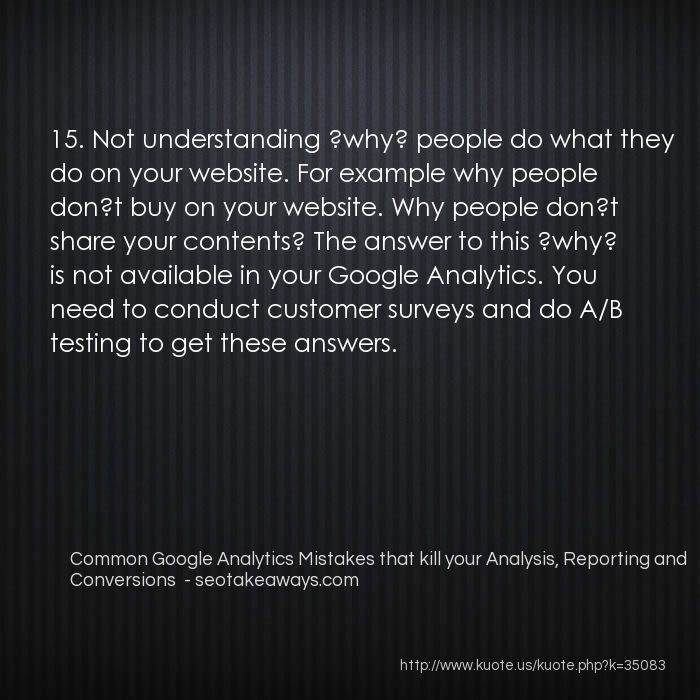 For example why people don?t buy on your website. Why people don?t share your contents? The answer to this ?why? 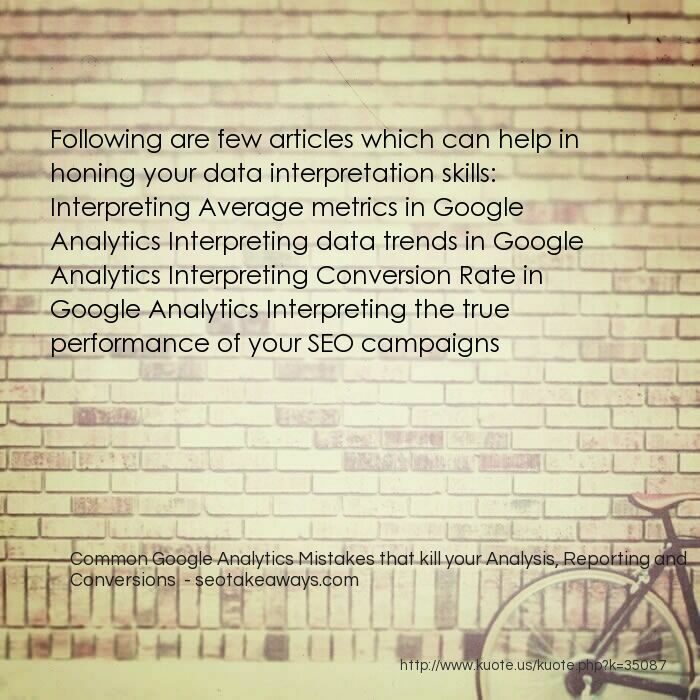 is not available in your Google Analytics. 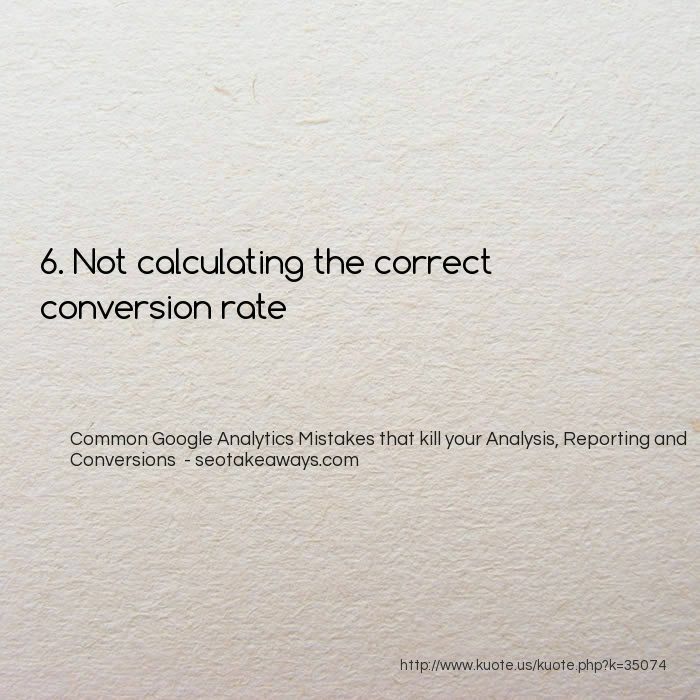 You need to conduct customer surveys and do A/B testing to get these answers. 11. 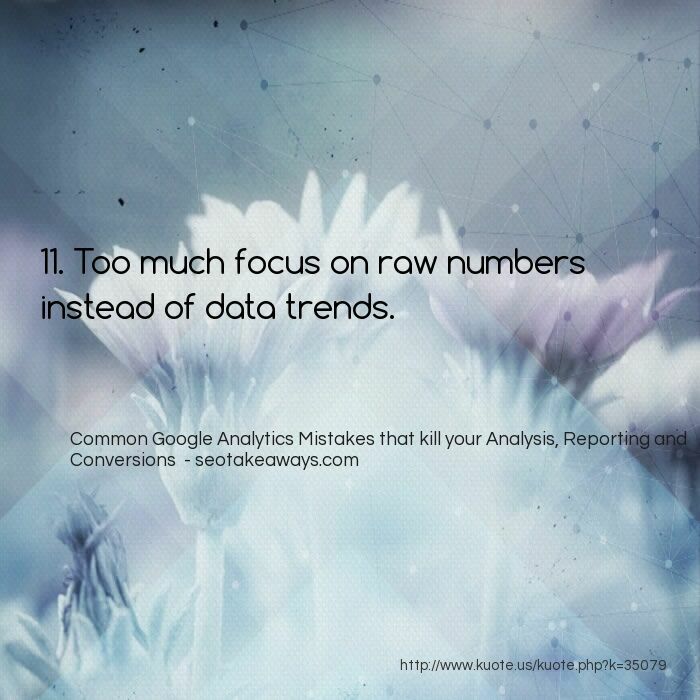 Too much focus on raw numbers instead of data trends. 10. 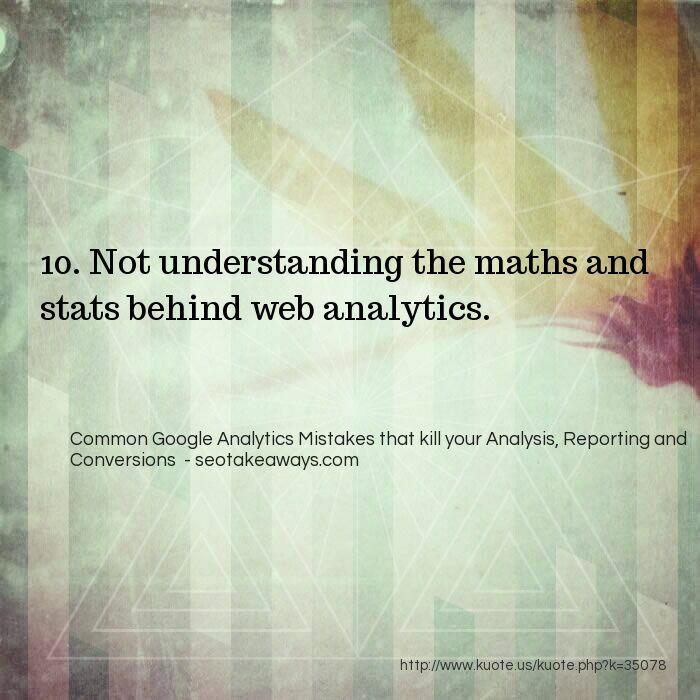 Not understanding the maths and stats behind web analytics. 9. 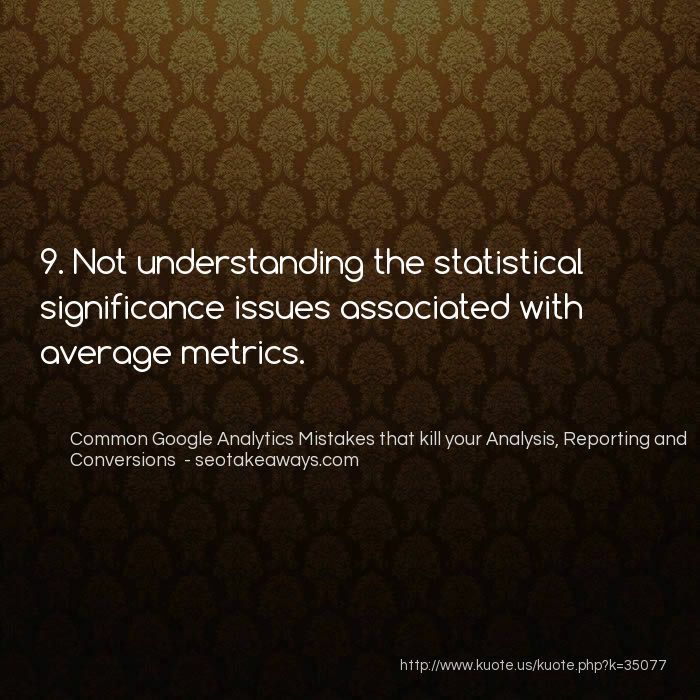 Not understanding the statistical significance issues associated with average metrics. 7. 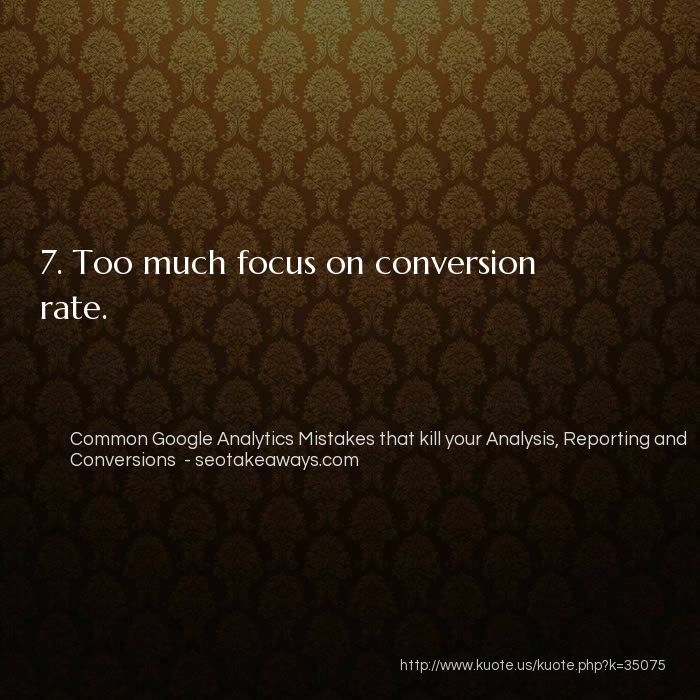 Too much focus on conversion rate. 5. 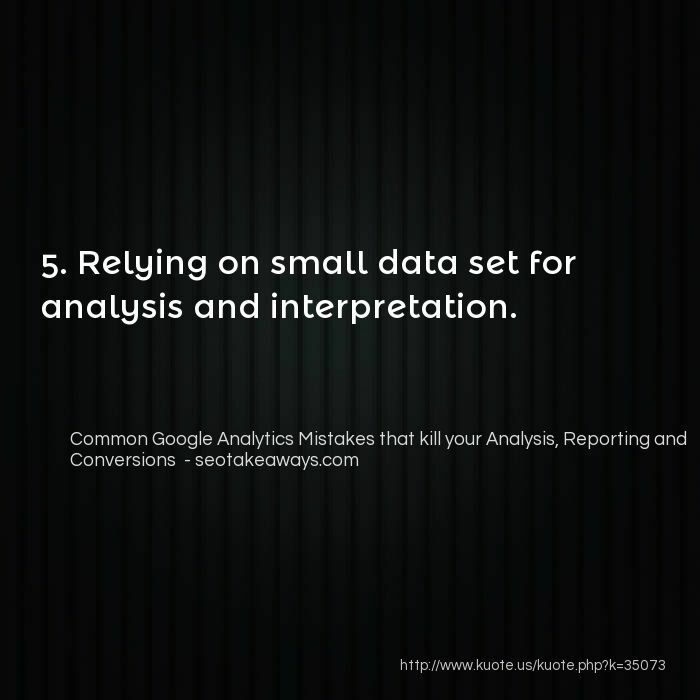 Relying on small data set for analysis and interpretation. 3. 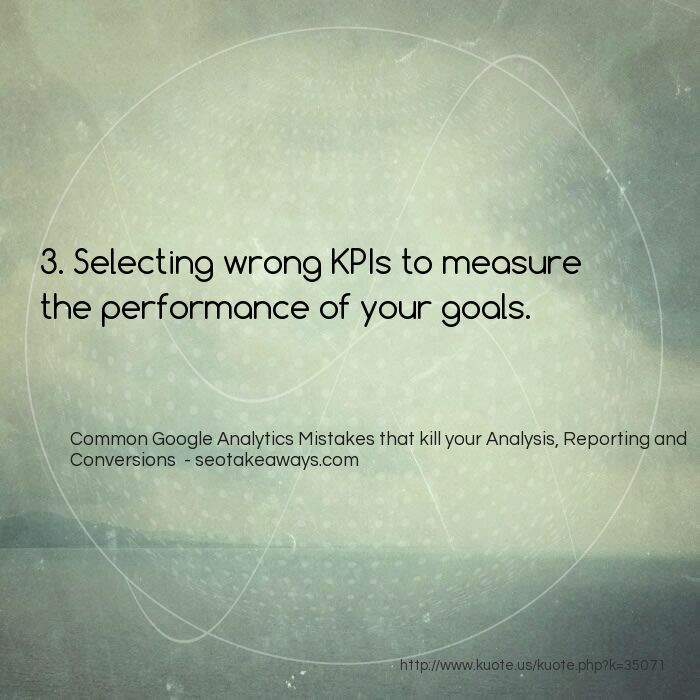 Selecting wrong KPIs to measure the performance of your goals.